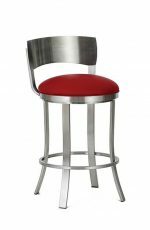 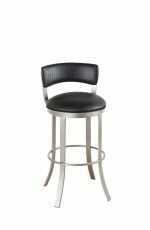 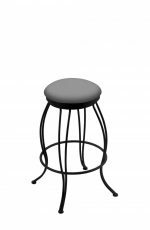 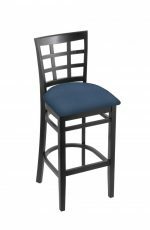 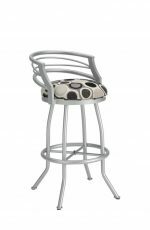 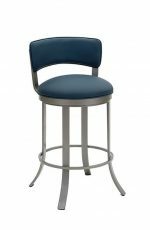 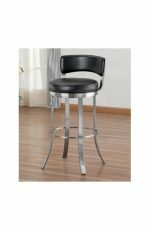 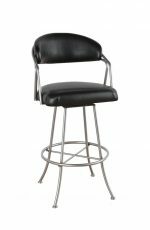 Choose from our large selection of 26 inch or 30 inch counter and bar height stools. 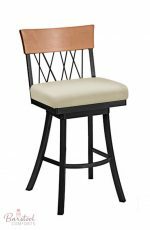 Customize to match your style! Generally known as counter height, a 26 inch stool is an ideal height for a 36 inch high counter or counter high table. 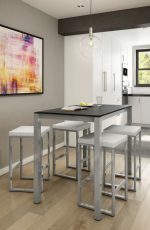 With enough room for your legs — from seat to counter top — this height gives a 10 inch gap which falls into the general rule of 10 to 12 inches from seat to counter top. 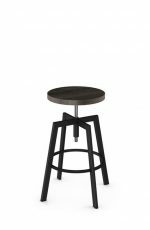 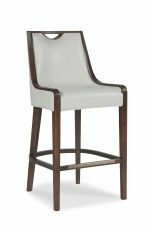 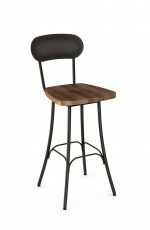 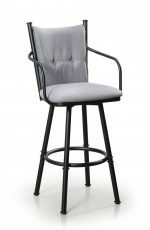 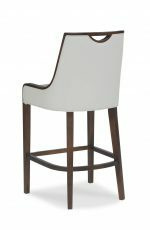 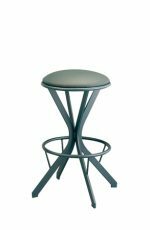 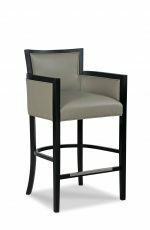 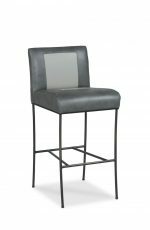 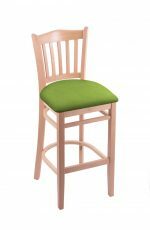 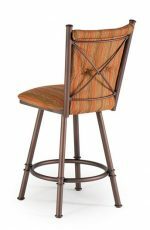 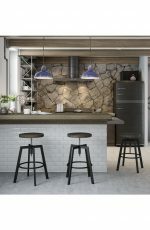 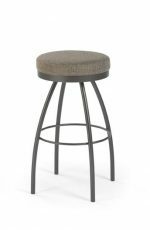 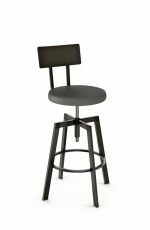 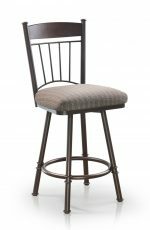 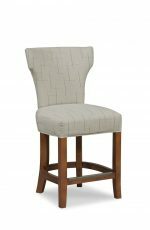 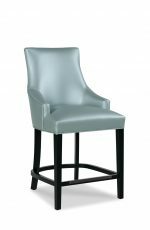 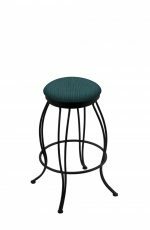 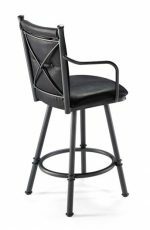 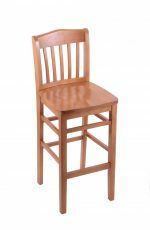 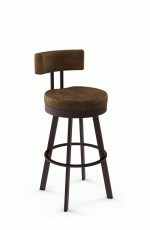 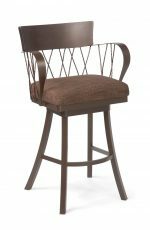 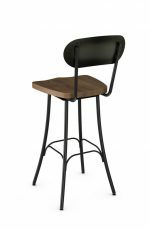 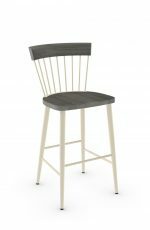 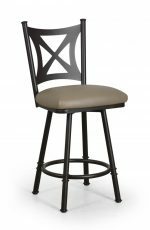 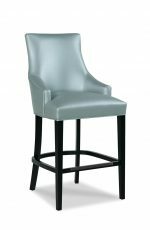 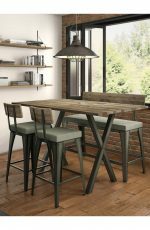 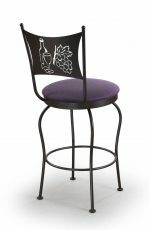 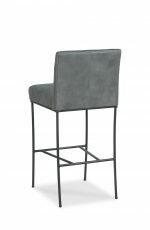 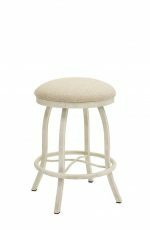 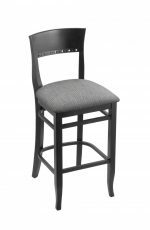 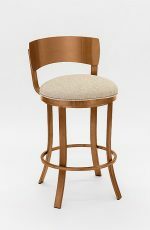 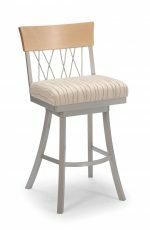 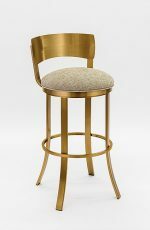 It was thought years ago, and still considered today by many, that a 24 inch high stool is required for a counter high top, but this theory is no longer true with today’s expert studies in the bar stool field. Twenty-four inch is considered too low, even in the 10 to 12 inch standard gap. 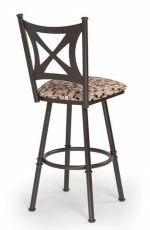 Even with a 10 inch spread from seat to countertop, still the ideal height is 26 inches for optimal comfort. The average counter height, today, is 36 to 37 inches high, hence the 26 inch counter stool. 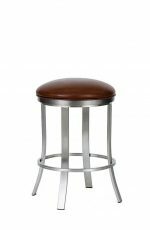 Note, the 26 inch stool is typically measured from the floor to the top of the seat. 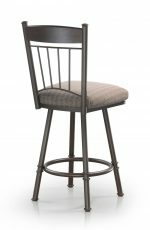 Whether you’re tall or short, the 26 inch high stool has the ideal comfort zone for everyone. 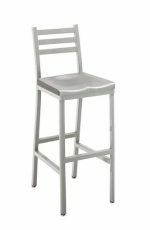 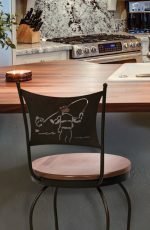 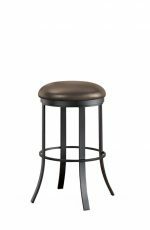 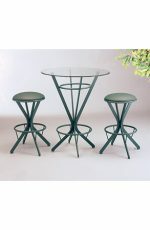 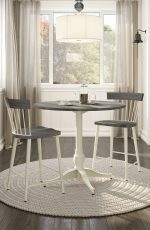 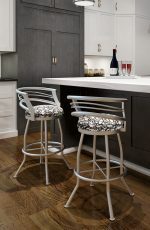 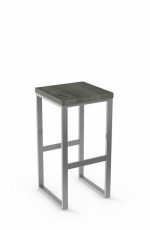 The counter height stool is mostly found in kitchens and dining rooms. 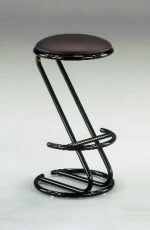 This is because it’s the more preferred height in the most used rooms on a daily basis. 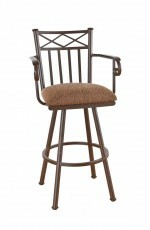 This height is easier to get in and out of it at any age. 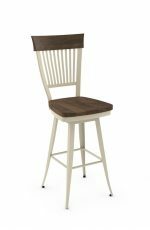 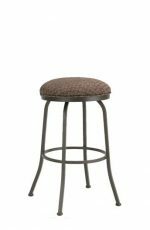 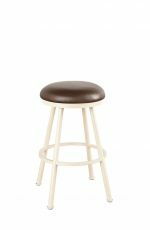 We select only the finest quality stools with the utmost comfort and durability here at Barstool Comforts. 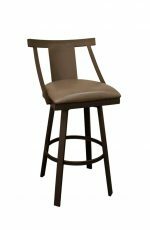 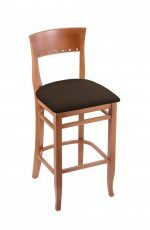 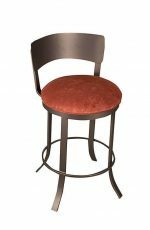 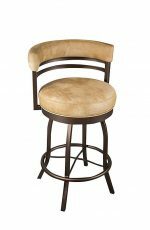 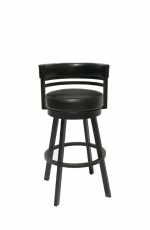 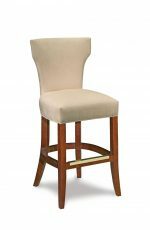 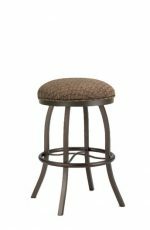 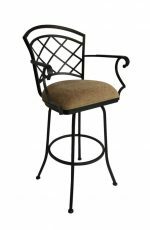 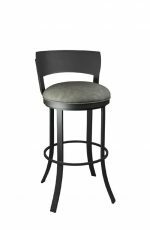 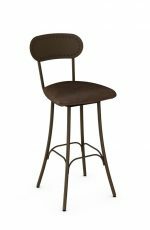 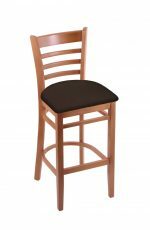 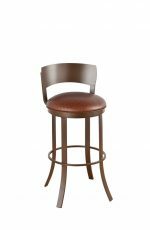 A 30 inch bar stool is a perfect height for a pub table, a bar, or a bar high counter. 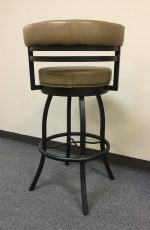 A standard bar is 42 inches high which is perfect for a 30 inch stool, giving a difference of 12 inches between the seat and the top of the bar. 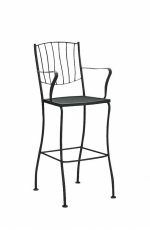 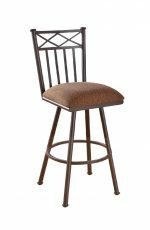 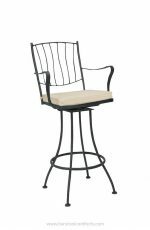 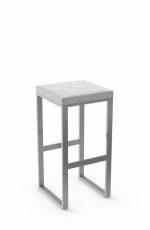 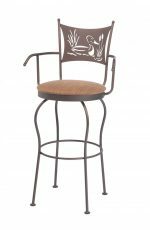 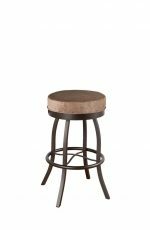 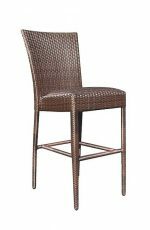 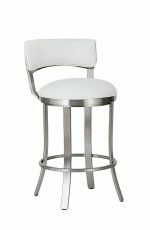 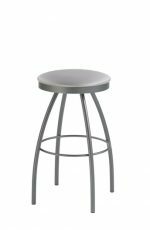 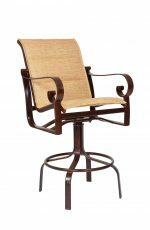 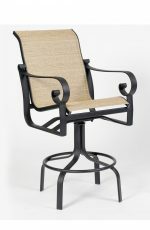 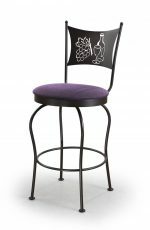 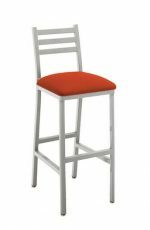 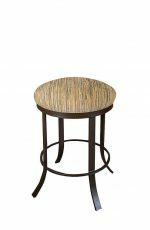 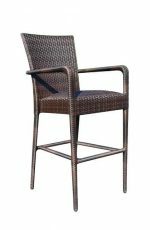 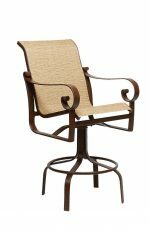 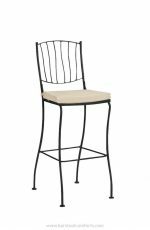 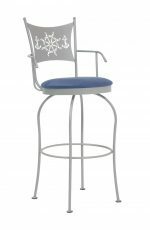 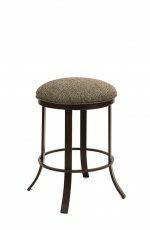 The 30 inch high stool can also accommodate a 41 inch high bar. 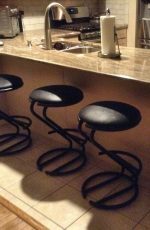 The standard distance from seat to bar top should be no less than 8 inches and no more than 12 inches. 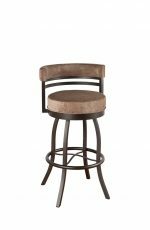 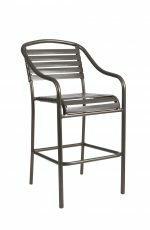 Bar height stools work great with arms. 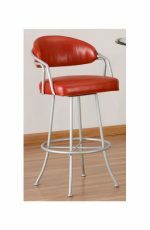 Thirty inch stools are higher than a counter stool so this makes getting in and out of them, a little harder. 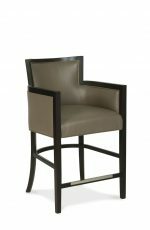 The arms act as a support when lifting yourself into them. 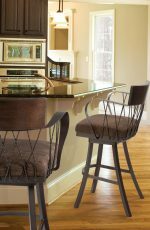 Make sure the measurement, from the floor to the top of the arm, clears the bottom of the counter by at least 1 inch (see measurements on our product pages). 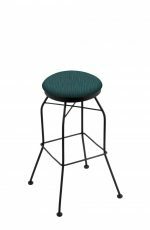 Also, the footrest measurement is the same distance from the footrest to floor, whether it’s a counter or bar height stool. 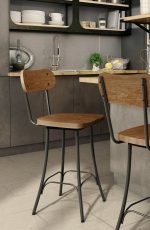 On stools where the legs flare out, the bar high stools will have legs slightly wider at the bottom than a counter high stool for better stability. 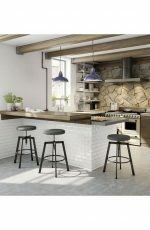 If the legs go straight down to the floor (no flare or curve), the legs will obviously be the same width for bar and counter height. 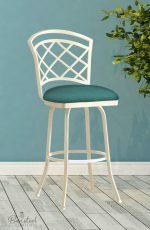 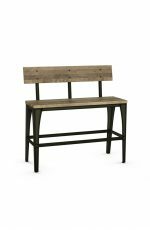 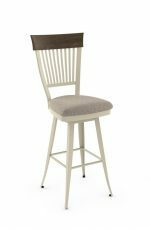 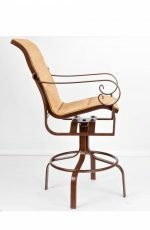 The seat and back will always be the same size, whether it’s a counter height stool or a bar height stool. 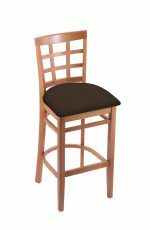 Once you know which height you need, use our website to browse the selection we have. 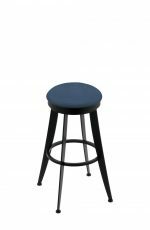 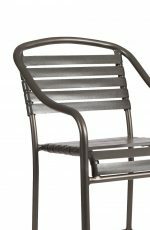 These are the most durable and most comfortable stools you will find on the internet. Being in the business for over 20 years and having a showroom where we have personally sat on these stools, we have only given you the best selection. 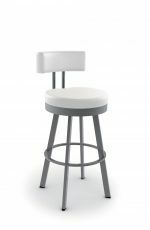 You will love these stools for many years, and they will last you for decades.